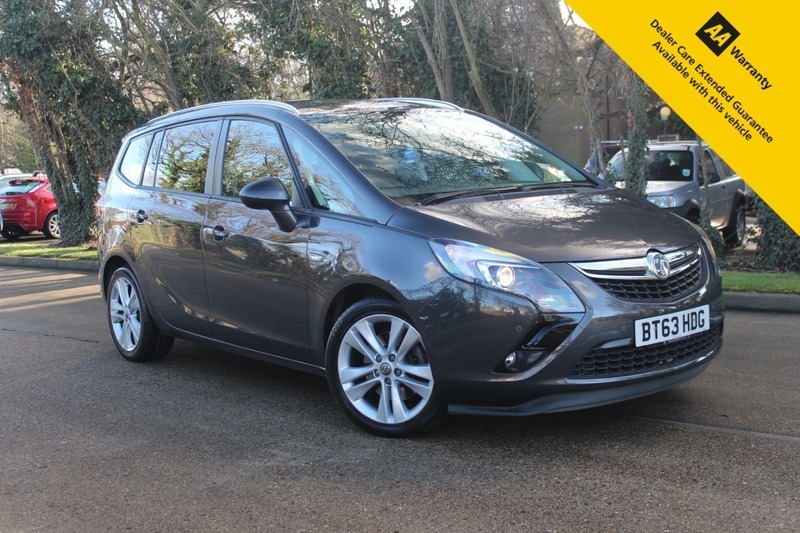 Here for sale at Leigh Cars Ltd we have a superb 2 owner low mileage example of the popular and versatile Vauxhall Zafira Tourer 2.0 Diesel SRI 7 seater. This particular example comes with 2 keys and a long advisory free MOT and a superb fully stamped VAUXHALL service history, with 4 services completed from new. It has an impressive specification including front + rear parking sensors, cruise control, bluetooth connectivity, electric windows & mirrors, alloy wheels + much much more. This car has been very well looked after inside and out and is great condition for the age and mileage of the vehicle, credit to its previous owner. The vehicle has had all 4 alloy wheel professionally refurbished so look as good as they did when it come off the production line. This car would be ideal for any growing family looking for that extra space. With such impressive specification and looks you can see why these Tourers' sell quick. At only £140 a year to tax and averaging in excess of 50mpg, the running costs are great for such a large family 7 seater MPV. This lovely example is ready to be driven away today - so hurry and book in your appointment today.